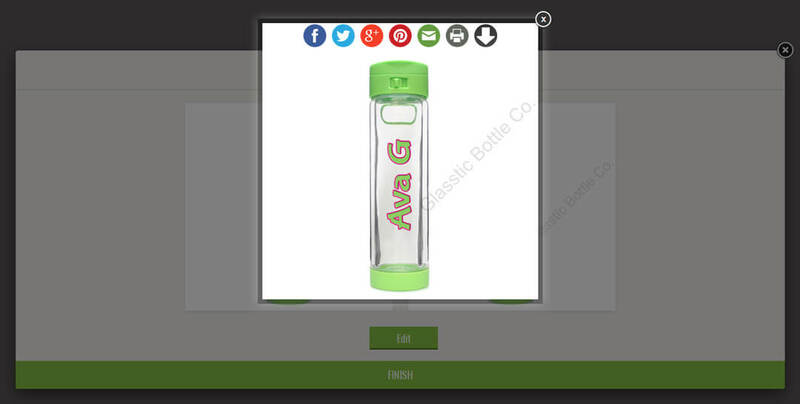 With the Glasstic Online Design Tool you can create personalized water bottles that make fabulous gifts for family and friends. Families love these custom water bottles. Easily add images, symbols or text to the front and back panel to make the bottle totally unique. We require an account to make custom water bottles so we can allow you to save designs in case you wish to start a design and then come back and finish it later. 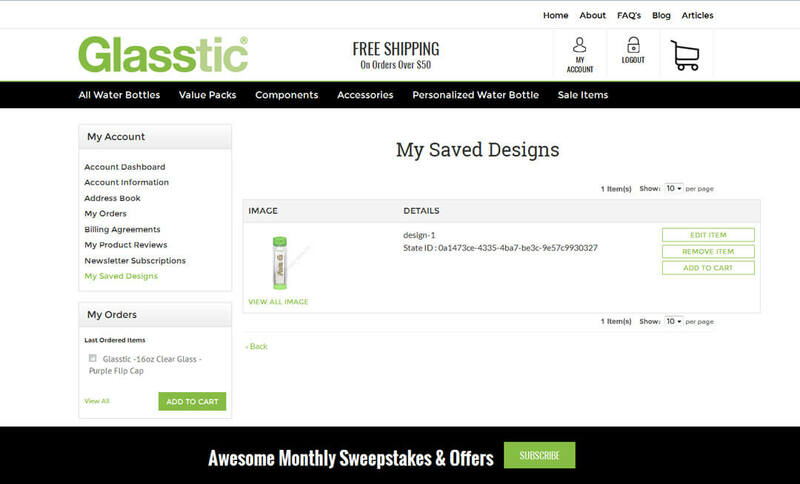 That or you can easily re-order a custom water bottle design you created at an earlier date. If you don’t have an account or have not logged in you will be prompted with a log-in screen once you first choose to ‘personalize’ a product. Some products require the bottle color be chosen prior to selecting the personalize button so the proper cap/base color can be shown on any previews.